Marty Two Bulls Jr. is an artist and educator living and working in Rapid City, SD. He is an enrolled member of the Oglala Sioux Tribe and is full time art faculty at Oglala Lakota College in Pine Ridge, SD. 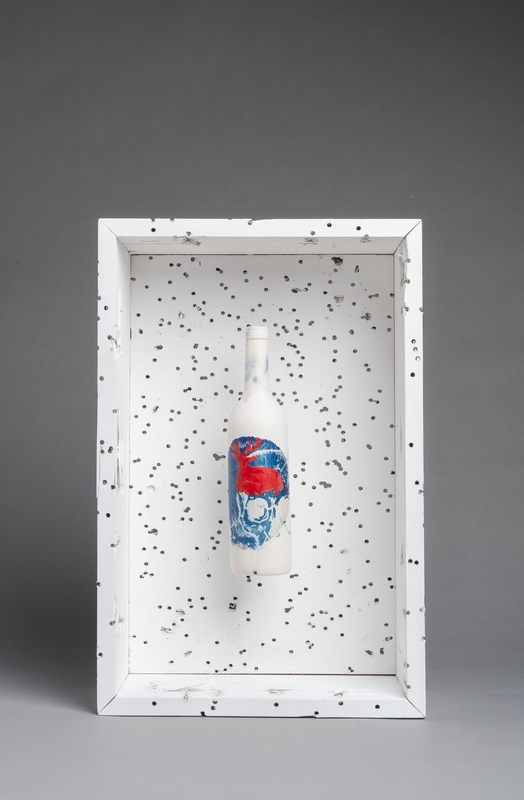 Two Bulls is an interdisciplinary artist who utilizes painting, ceramic, printmaking and sculptural techniques to create his unique mixed media assemblages. The concepts of his work range from religious to political to current/historical social injustices, but his primary focus is in the aesthetic discourse. Two Bulls makes objects that challenge concepts of beauty and righteousness. He chases truth in his work and uses his art as a tool to engage society.